Growing competitive pressure not only forces companies to roll out new and flexible digital business models, but also to cut costs and be as attractive to skilled workers as possible. In particular as regards the last two points, the great importance of one factor is often underestimated: the company’s building. Because it offers many ways of cutting costs, as well as of enhancing convenience for employees. For instance, even economical LED lights can save even more power if they are on only at the time they are needed and in the required brightness. Illuminated rooms, corridors or underground car parks that are empty are an issue in many companies and “burn” money. The remedy is an intelligent concept: Lighting that uses its own brain – Smart Lighting. That is possible by combining intelligent network and LED technology. Energy costs can be additionally cut by 25 to 30 percent solely by using sensors and actuators to provide lighting at the precise time and place it is needed. If the lighting, heating, air-conditioning system and computer can be switched on and controlled automatically as soon as employees enter the office, staff also enjoy greater convenience. That is because they no longer need to take action themselves and so save valuable time. Users can even use apps to tailor their workplace to their own personal requirements. After all, everything that can be integrated in networks can also be controlled in the Smart Building. 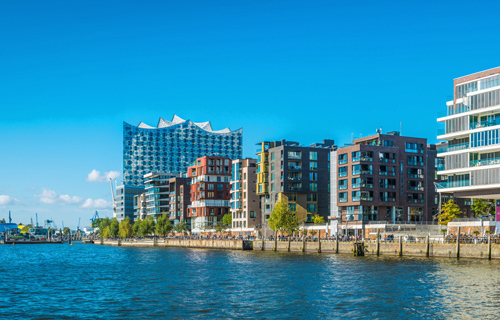 Technologies and solutions from euromicron ensure that buildings become an integral part of the Internet of Things and dovetail with Smart Industry. 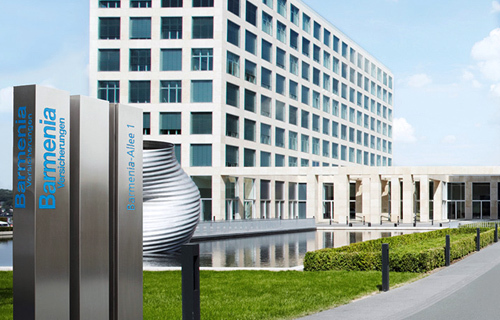 MICROSENS, a subsidiary of the euromicron Group, offers “smart” services – intelligent solutions for fire prevention, video surveillance, access control and process automation, extending as far as efficient energy and building management. Its Smart Building functionalities ensure greater security, energy efficiency, ergonomics and cost-effectiveness in modern buildings. The basis for that is a powerful all-round concept that unites the various building automation systems in an efficient and user-friendly way. MICROSENS’ decentralized Smart Office concept brings network intelligence to the application’s direct vicinity and so creates an unprecedented level of performance and security. Based completely on IP, the concept uses standard IT cabling infrastructure that exists in every office building and so offers an open, standards-compliant solution. The sensors, actuators and system management communicate via secure, encrypted IP network protocols. The Smart Office concept can be scaled and expanded as desired, meaning existing rooms can be integrated gradually to suit needs. That enables gentle migration to state-of-the-art building management. 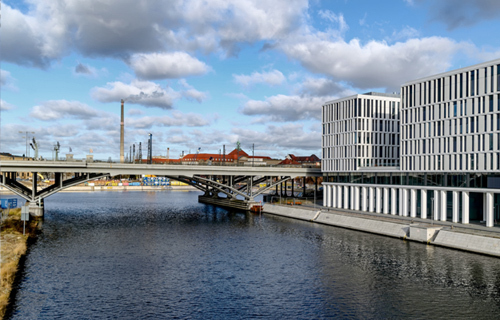 ssm euromicron took care of expanding all the network, electrical and security technology as part of the Campus Futura construction project in Hamburg’s HafenCity. 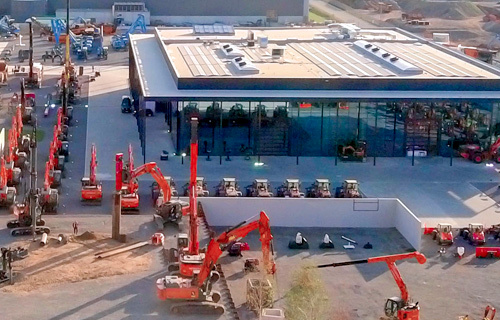 Among other things, the system house subsidiary of euromicron AG laid 193,686 meters of cable and lines and installed a fire alarm system with around 1,620 participants in the space of 17 months. 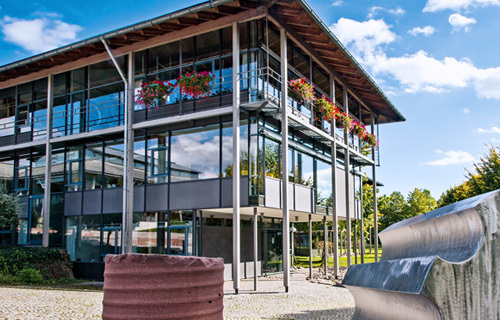 The system house company euromicron Deutschland implemented an extensive network and security architecture based on the platform solution Cisco Meraki on Coreum’s campus. After more than 25 years of constant use, the nursing floors of the CRONA Clinics in Tübingen needed a complete refurbishing. 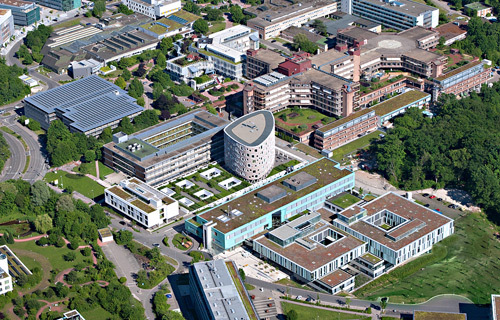 The order to renew the security systems was awarded to euromicron Deutschland GmbH – and the result was highly satisfied project managers. 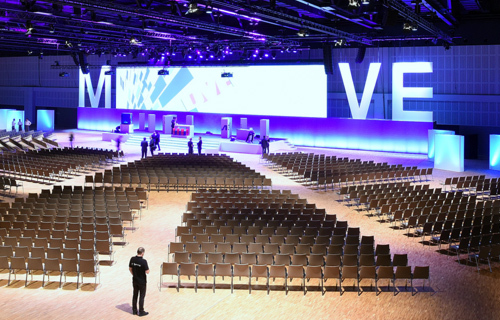 As part of construction of the new Convention Hall II, the Estrel Berlin wanted to implement a flexible IT infrastructure for events and trade shows. Long distances had to be overcome, and security and simple management of all ports had to be ensured at all times. Standing in a line at the supermarket checkout is a thing of the past. Anyone visiting EDEKA’s “Store of the Future” can experience shopping that offers unrivalled convenience and better service. In order to safeguard the approximately 500 computers, 300 terminals and 90 servers of the District Office against cyber attacks, the firewall concept needed to be optimised. 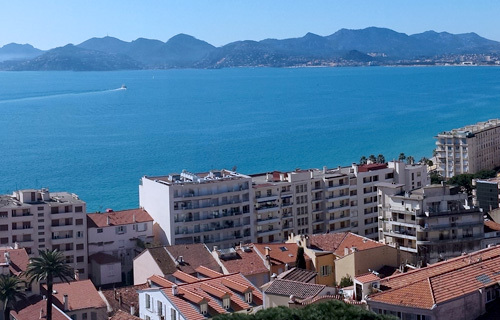 The hospital in Cannes is the first of its kind in Europe that has been designed and equipped fully IP-based. One of the key technologies - the installation switch – has been developed and delivered by the euromicron subsidiary MICROSENS. Barmenia Versicherungen: In order to meet growing bandwidth requirements, experts at euromicron Deutschland GmbH have now implemented wavelength division multiplexers from MICROSENS GmbH & Co. KG. They ensure reliable transmission of large volumes of data. 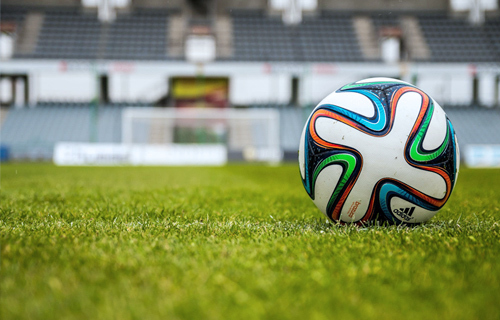 Intelligent fire alarm technology, an ambitious public address system and the CCTV solution developed together with the police ensure safety on the spectator terraces.